For full details of our company, audience, press release, advertising and partnership opportunities please contact us for a Media Kit. 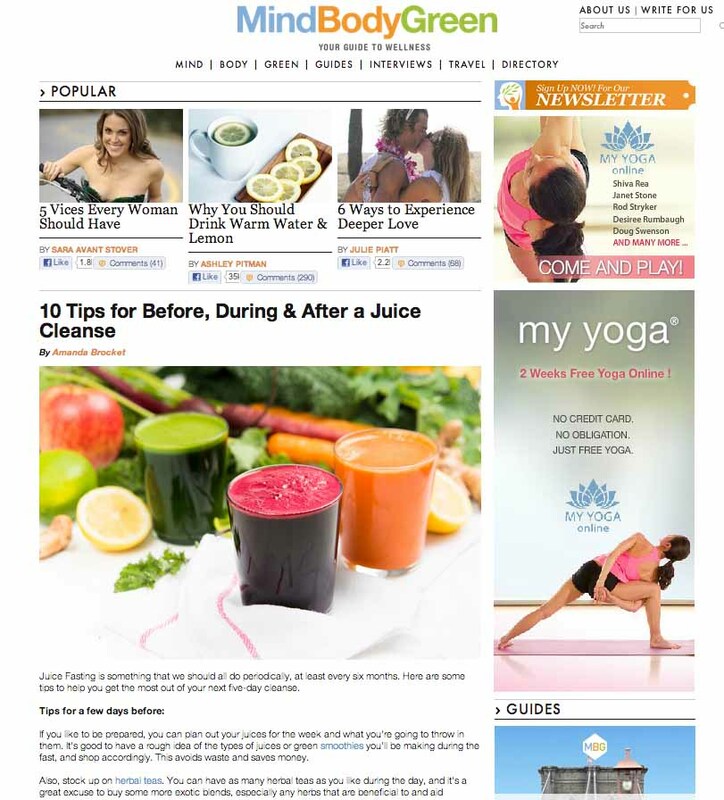 MindBodyGreen is a well respected and much loved online wellness magazine read by hundreds of thousands of people all around the globe with regular world renowned wellness experts as contributors. MindBodyGreen recently published Amanda’s “10 Tips for Before, During & After a Juice Cleanse“, a thoroughly juicy article for anyone considering embarking on a Juice Fast. The Raw Food Kitchen was very honoured to have The WholeFood Lover’s Guide To Sydney feature our Introduction to Sprouting & Fermenting Workshop. We were very excited to appear in this beautiful blog, read and respected by the fast growing audience that is the wholesome foodie community in Sydney and Australia. Here’s the feature article if you would like to check it out. Loving Earth is Australia’s most trusted organic brand, sourcing and manufacturing the highest quality organic, fairly traded foods available. 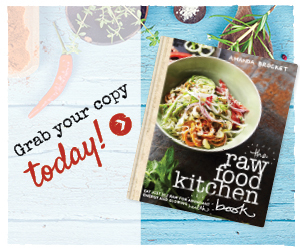 The Raw Food Kitchen was honoured to be featured in their Day On A Plate Page. If you’d like to learn more about Loving Earth and the good they do, you can visit their website. The Daily Telegraph is Australia’s most popular newspaper delivering national, world, business, sport, entertainment, health and technology news from around the globe. We were delighted to get a mention in the Body & Soul section of their Sunday edition! Nourish Magazine is a holistic guide to exceptional health and wellbeing, presented through great recipes and nutritional advice. We are so proud to have our recipes featured in a multi-page spread for their March/April print edition! The Manly Daily is an important part of community life in the greater Manly area and takes pride in supporting and documenting local news for its residents. We are delighted that Amanda was selected to feature in their health & beauty section recently! Primped is the go-to premium site for hair & beauty in Australia. They recently launched a Health & Fitness section for their website, and Amanda was honoured to be interviewed as part of their ‘Fridge Files’ segment. You can read the interview here. The AU Review is Australia’s best online news publication for the film, art, food & lifestyle industries. We were stoked to see the AU Review gave a shout out for The Raw Food Kitchen’s two day “Explore Raw” event happening in Brisbane. 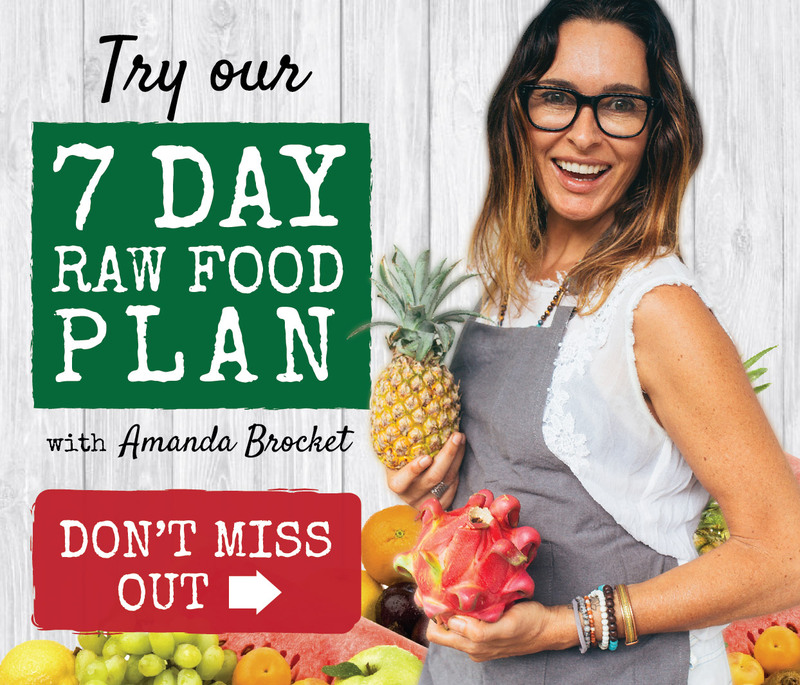 The Courier-Mail has long been the favourite daily newspaper of Brisbane and broader Queensland so we were stoked to see Amanda featured in the Taste section in the lead up to her “Explore Raw” Brisbane event.